I don’t know about you but I love taking road trips with the family. A big part of our road trips is the eating. Most people ask what should we take with us that’s easy convenient and most of all that the kids will love. 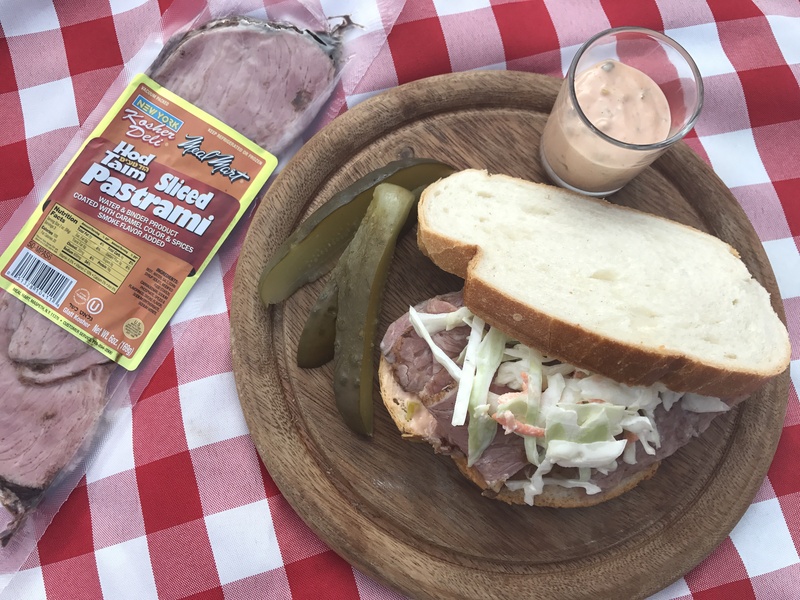 So we started taking with us Meal Mart pastrami (the pre-sliced one is perfect) some fresh rye bread and we make these amazing sandwiches with homemade Russian Dressing, some sour pickles and coleslaw on the side and lunch or dinner is a big hit!! (I don’t travel without a cooler). Here is my go to Russian Dressing to go with my pastrami sandwiches. Oh yum I can’t wait for the next road trip!!! 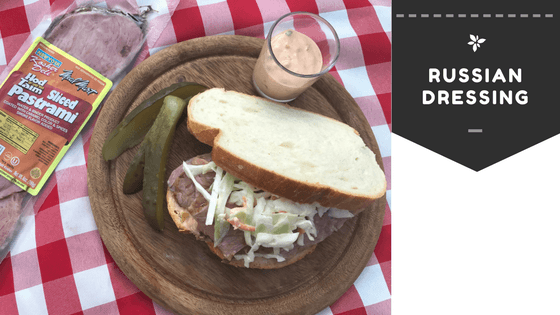 Make Russian dressing by mixing the mayonnaise ketchup and relish. Take out 2 slices of bread and slather on the Russian dressing. Layer desired amount of Meal Mart meat on your fresh baked rye bread. I eat mine layered with coleslaw on the sandwich it’s so good but you can also keep it on the side. Have fun with your sandwiches, I’m dreaming about my next road trip now!! !